What happens when you take the Power Rangers formula but instead of using one show for footage of monster battles, you take two unrelated shows? What you get is VR Troopers. With all the craze around Virtual Reality now, why not take a look at a show that was inspired by the 90s Virtual Reality craze from that time. This is no Superhuman Samurai Syber-Squad when it comes to tech references but here is a review and random observations of VR Troopers. 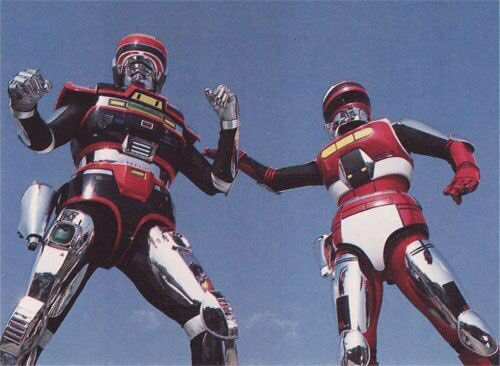 I never saw really saw VR Troopers as a kid besides an episode or two and with no nostalgia, so it made it kinda hard to watch. I’m not sure if the show does get better or if it somehow grew on me even though it was bad because I don’t think season two is necessarily better; A lot of the Space Sheriff Shaider stuff in season two I did not enjoy. Season 1’s problem is at times the plot was hard to understand, you knew the basic plot but besides that it just seemed like random fight footage was thrown everywhere that made no sense. As a kid I just dismissed it as PR rip off but I can see why some people have fond memories of it now. I noticed Kaitlin is always wearing more revealing outfits than the gals at Mighty Morphin’ Power Rangers ever did, I guess that’s because of syndication. During season two I hated that Ryan Steele’s father left randomly after finding him in season 1, but I guess it made sense, and not having Ryan whine about his father was both good and bad since it took something away. In the beginning of season two they seemed that they were going to make Tao a bigger character instead of just a supporting one since he now knew the troopers identity and hinting that he had a lot more to say about his techniques and be a second mentor of sorts but that was quickly dropped it after a few episodes. Pointdexter was another character that could have been useful, he was used like four times mostly for deus ex machina but yeah his later appearances were odd to me since in his first they erase his memory of the VR troopers making him seem like he was not important..Kaitlyn’s mirror self ended up being a dud after setting her up that it had its own personality as well. 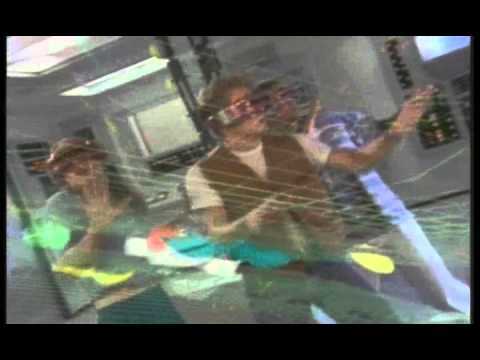 I never quite understood well how virtual reality worked, or when a fight took place in the real or the virtual world, what the battle grid was, not to mention while the idea of Virtual Reality was interesting the footage reflected nothing of the like besides the suits that look futuristic…And the Season 2 footage meshed even worse with the theme. One thing that annoyed me was they always separated Tyler from Jb/Kaitlin when it wasn’t because of footage restriction, plenty of times kaitlin could have gone with tyler while JB just beat the monster of the day. Or the four times they had american made monsters in season two they had JB/Kaitlin deal with them while they could have definitely had Ryan join them after he defeated his monster of the day. Not to mention they could have had one of them as a way for Kaitlin to finally have a monster of the week for her to defeat by herself.. I never understood somethings, it may have been because I didn’t pay enough attention but wasn’t Grimlords dungeon blown up twice? Also early in Season 1 Ivar betrays Grimlord and is apparently destroyed and then he shows up as if nothing happened being extremely loyal to grimlord and implying he is one of his most loyal…Too bad icebot was rarely used later as I liked him, though I did love Ivars voice actor. I was always amused by how the skuggs would transform from humans to skugs in the most random ways, you’d think the troopers would have gotten the hang of random strangers usually meant they were skugs. And while they were supposed to be foot soldiers his secretaries were treated as if they were higher ranked even than the generals and in one episode one of them actually mentions replacing grimlord….I liked how the skugs were handled in season two, though it’d have been nice to see more ultra skugs. Grimlord in season two was both more menacing and goofier, his monologues at the end were unintentionally hilarious at times. And his new lair while had some pros it never felt the same as the army of “hail grimlord” from Metalder. Never cared for his new generals/warriors even if it meant more US footage. I was glad they did away with Percy’s parents in season 1, the gag of jeb hating them and humiliating them got old. For some odd reason I actually liked Jeb the talking dog. Kaitlin’s job was a good place for them to hang out besides the dojo but while I liked Woody the owner, how was he supposed to be a boss? It made no sense. 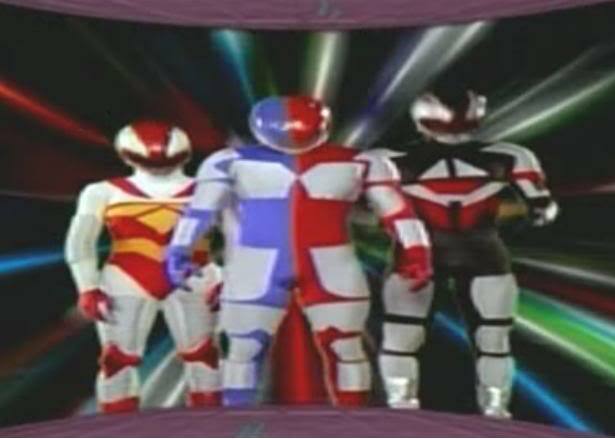 I hate how they didn’t have a name for their transformations, they were just the VR Troopers to everyone and just referred to by name by the bad guys and between themselves. How was a normal person supposed to differentiate them? VR Trooper girl, VR Trooper black, VR Trooper red and blue and later just blue? 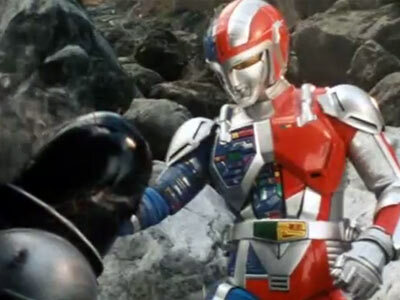 I hate the metalder costume but kind of missed it during season two for some reason. They seemed to fit since Kaitlin’s costume was nothing like JBs so it was three entirely different costumes. I did like how in season two Ryan’s footage seemed to match the Spielban footage more since they had similar costumes/weapons/finisher etc. The first season at least most of the first two thirds are pretty bad, you can tell the show had no budget. The plots of the episodes are as lame as they can get and the implementation of the footage is just bad, especially in the early episodes I had no idea what was going on once the stock footage began, the terrible quality of the video definitely didn’t help. The characters are also really bad, all of them little to no redeeming qualities… Now near the end of the first season I started to enjoy the show a lot more, I am not sure if maybe I had gotten used to how bad the show was and finally understood it better or if the show actually got better but I began to like it. The characters which I didn’t like grew on me definitely and the plots made more sense and were more entertaining. Now for the second season its again mixed feelings. I was glad Ryan used the Space Sheriff footage since I really hated the Metalder footage, the karate chop was just very anti-climatic. 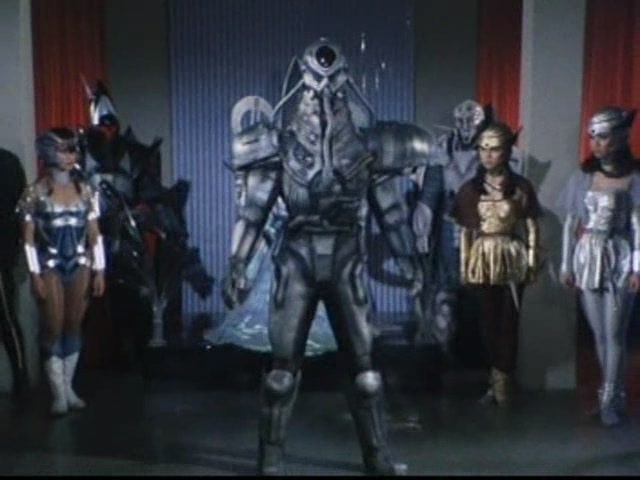 While Grimlord actually had a set which was good I didn’t like it, it was too different and bright and didn’t like the the whole Egyptian motif they began having with the show since it made no sense with the Virtual Reality gimmick they were going for. The second season also introduced cool concepts to never be used like their sensei’s secret dojo thing. The Space Sheriff footage was better than the metalder one but it still didn’t match the awesomeness of the Spielban footage, I loved all the Spielban footage. Anyways I enjoyed some of the things they did in S2 but others not. Overall after I got done watching I enjoyed the show and will definitely watch it at least once more in the future, it had a lot of flaws but the characters and story grew on me whether it was from watching it so long or it actually getting better. 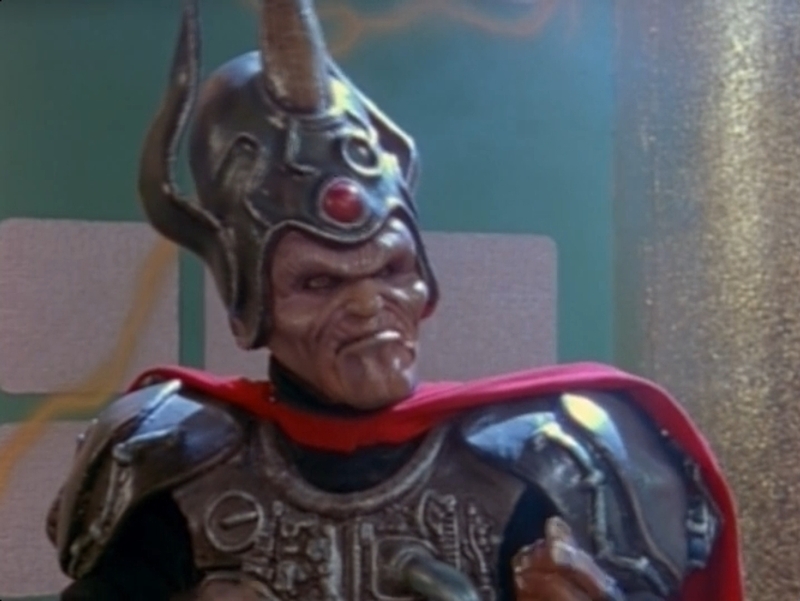 I don’t understand why people say it was more mature than Power Rangers though, maybe it had a little less humor and the villains were less comedic but there was still plenty of slapstick in the show. Its too bad they never crossed over though as it would have been nice.